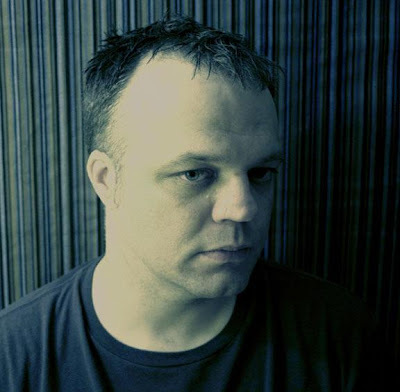 Today's spotlight shines on Crushed Stars, the moniker used by producer and multi-instrumentalist Todd Gatreau. Todd has flitted in and out of view over the last eight to ten years in various projects producing various styles of music. 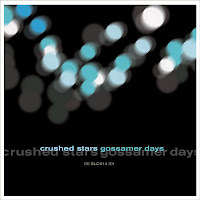 His newest offering, Gossamer Days, is the third under the Crushed Stars name and is set to be released February 19th via Simulacra Records. Todd was kind enough to talk about the closing track of the album, Clare Grogan's Scar. For those of you not familiar with Clare's name, she was the front-woman for early 80's new wave, post punk Scottish band Altered Image, and has since then worked as an actress in films as well as on TV. Read more about her over at wikipedia. Questions and notes in black are mine. Text in red is Todd. I chose to write about Clare Grogan's Scar because that one has a little more of story to it. Most of the other songs are just kind of come about subconsciously. This song starts off with the line "Hello Young Lovers..." which I first encountered on a television ad for a Johnny Mathis CD years ago. Every crooner has covered that song. It sounds like such a hopeful sentiment. I also used this as a title for a Tear Ceremony (another of Todd's projects) track on the Emulsion CD. The next verse "I lost my shirt in New York, well I mean it literally...Someone on the subway's wearing my shirt as we speak" is something that actually happened. When I played CMJ in 2006, I was carrying only the little bag they give you at the conference stuffed with Crushed Stars shirts and CDs. The bag was kind of overflowing and I set it down while I played my set. I realized later that several shirts had disappeared. But I figured at least people would be wearing them somewhere (perhaps on the subway), so it would be good publicity. "I was busy wondering about Clare Grogan's scar..." is a line I had for awhile and wanted to use somewhere. I first saw Clare Grogan in an Altered Images' video. She was a striking waif with a distinctive scar. And I always wondered what had happened. I recently found the answer when I searched online. She went on to become a TV star in Britain. She also sang on a track by The 6ths (Stephen Merritt) recently. If she hears about this song I hope she does not mind me mentioning it. My intention was one of utmost affection. I thought it would make a good title. I played all the instruments on this track. I believe it was the last song I wrote for the record. I think it has a bit of an Epic Soundtracks influence. I thought the lead guitar was too loud and when Stuart (Sikes, who mixed the record) would leave the room I would pull the fader down a bit. I also used a Hofner Beatle bass I had just gotten which I thought sounded really good once compressed. I would have used it more on the record but all the other tracks were already done. 1.) As production technology has improved, you see more and more one man bands (like yourself) that pull in guest musicians here and there to play pieces. Do you think that this is the way of the future? Will set-in-stone bands become a thing of the past? Well it certainly has made it easier for guys like me to record on their own, but I think certain personalities are predisposed to playing with others and other personalities prefer to do more of it themselves. For some, performing is more of a social or fraternal thing, they prefer the security of a band or thrive on a certain chemistry within the band. I think for more song-centric artists, recording alone makes more sense. Not that others can't contribute worthy ideas, I just having a full-time band with me might result in having to be democratic to the point of weakening the song. Plus I can never find anyone to play with me anyway, so it's kind of this way by default. 2.) You mentioned playing CMJ in 2006. What's your take on how big the festivals like SXSW, Bonnaroo, CMJ, and others have gotten? Is it essential for an up and coming band to land a gig at one of these now a days? No, I don't think so. I enjoy playing the festivals, but more than anything it makes for good press. More people are going to read about you playing the festival than are going to actually see your show. Unless the hype machine is really spinning for you, you are going to play to an audience not much larger than your average show because there are so many shows going on simultaneously. Usually the hyped bands have already landed if they are a major draw at the festival. It's not very often people are skyrocketing from a festival performance anymore. It is a great excuse to have fun though. 3.) You've produced music under a few different names: Sonogram, Tear Ceremony, and Crushed Stars. With the change in names, your music has also developed. Do you foresee moving on to other projects in the near future as a further refinement / evolution of your sound (or even returning to previous projects)? I think Crushed Stars will soon be going in more abstract directions with looser song structures, more atmosphere, though not necessarily more electronic. There will be more Sonogram. After the last Crushed Stars record (Obsolescence), I felt really exposed. So Sonogram is a way for me to cover my tracks. I used to be reluctant to discuss one project in the context of another. It wasn't long ago when fans were either entrenched in electronic music camps or indie rock camps and the paths rarely crossed. Of course this has all changed in the last 5 years or so and everything just kind of coexists now. Whereas Todd's previous work was rooted in the electronic genre, with this album he employs more traditional instrumentation focusing on gently meandering guitars smoothly easing out bedroom pop that will work its way into your ears like a spring breeze blowing through a screen door. Enjoy the following two tracks and then pick up the album next month. Visit their website, their label Simulacra Records, and become their friend on MySpace.